It's time again, the art fairs are back in New York and I'm with the Hullaballoo Collective again, showing at the Fountain Art Fair!! This year the fair looks better than ever with more cutting edge, new and exciting art! Come and visit if you're in the NYC area this weekend! The Hullaballoo Collective makes art and wants to share it with you! 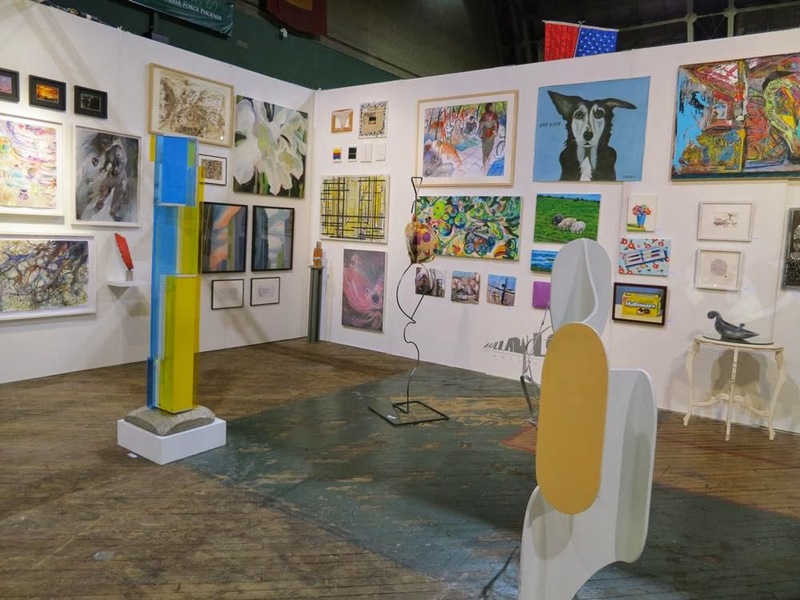 We are thrilled to announce our return to the Fountain Art Fair at the 69th Regiment Armory. Inspired by the independent spirit of Fountain, the original 1913 Armory Art Show, and feeling the suffocating effects of excessive art hype and promotion, the artists of Hullaballoo Collective coalesced two years ago with the intention of sharing work directly with the public. We fly a banner of proud unity without surrendering individuality! Hullaballoo booths ooze with vibrant, passionate life - you can see a forest, or choose a tree - you'll find a salon space brimming with art, intention and expressions of lives lived, all brought forth to savor through medium and material. This year Richard Timperio, who hosts the huge annual Group exhibition at Sideshow Gallery and inspired us to show together, is our invited guest artist. The Hullaballoo Collective seeks to inspire you to do something that hasn't been done before . . . because that's what matters most. Fountain Art Fair will honor Armory Show VIP cards. Music Lineup : THE DEEP!